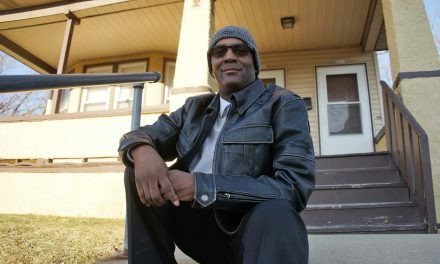 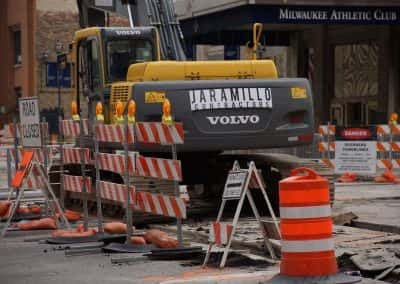 Summer in Milwaukee, aside from being short, is noted for its sights and sounds. 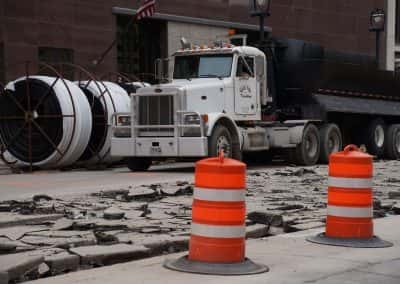 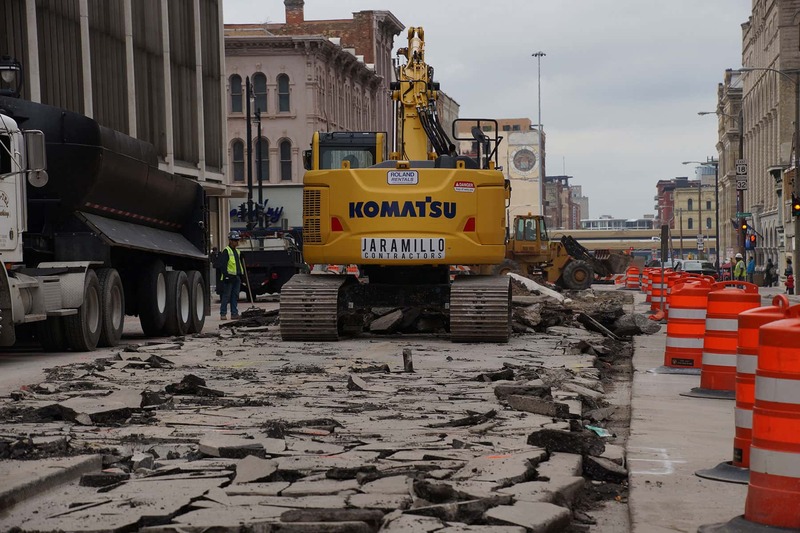 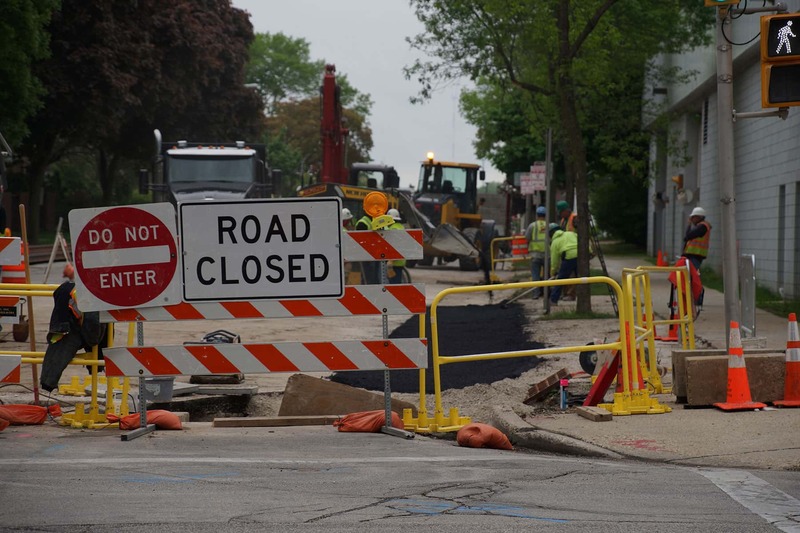 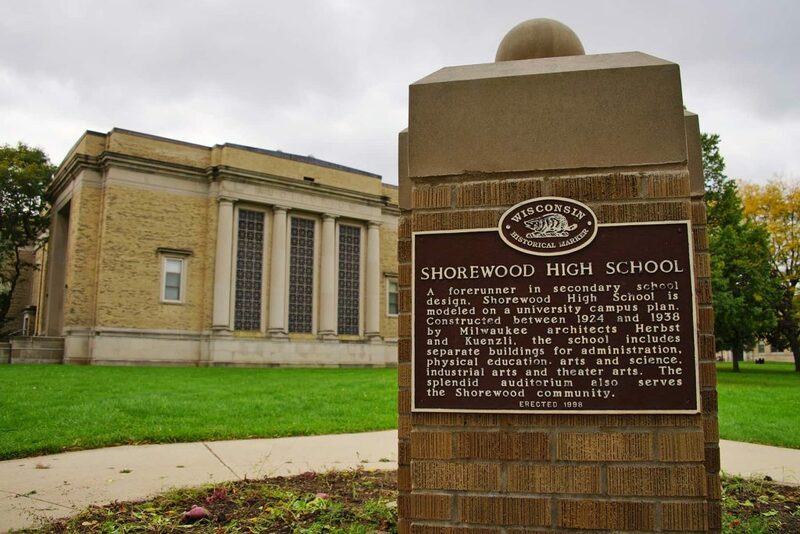 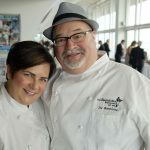 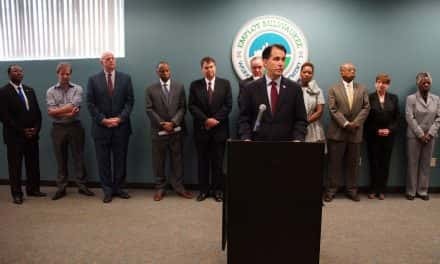 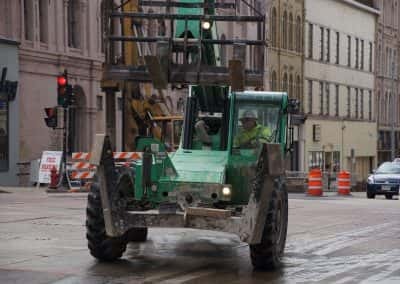 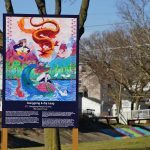 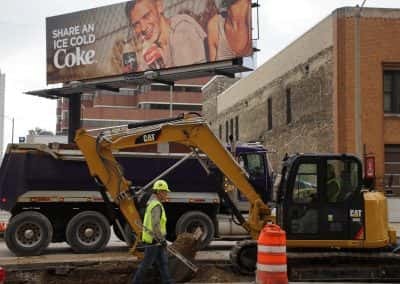 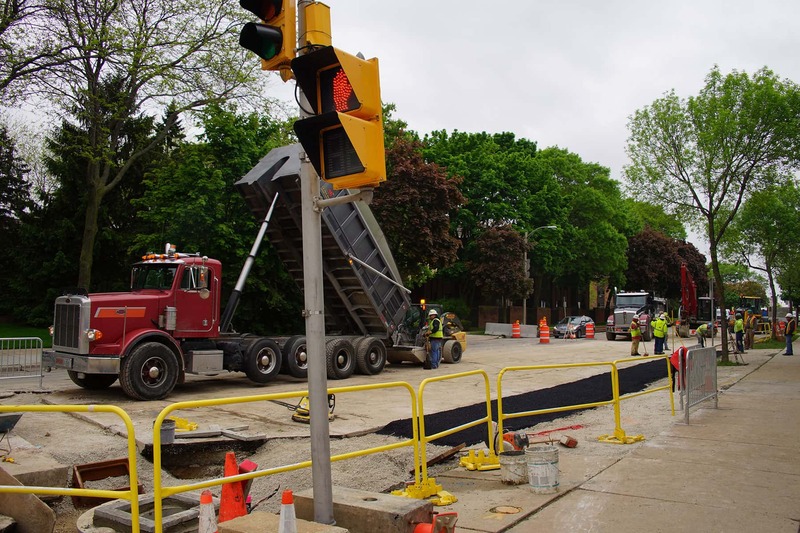 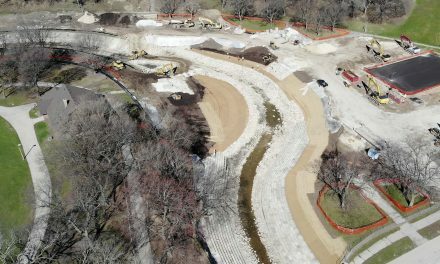 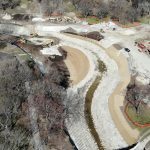 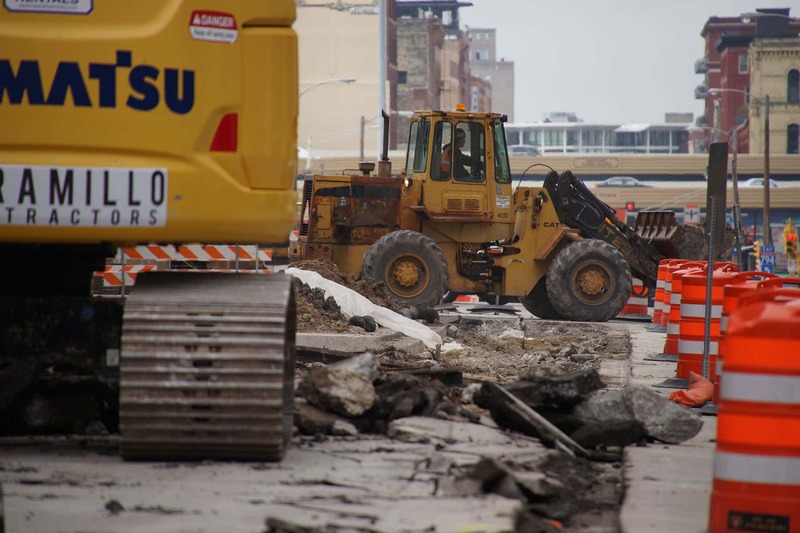 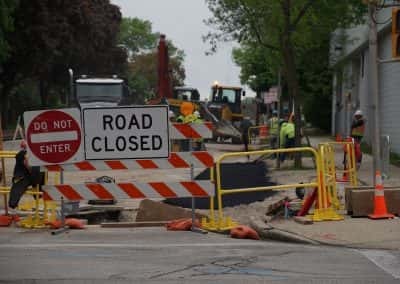 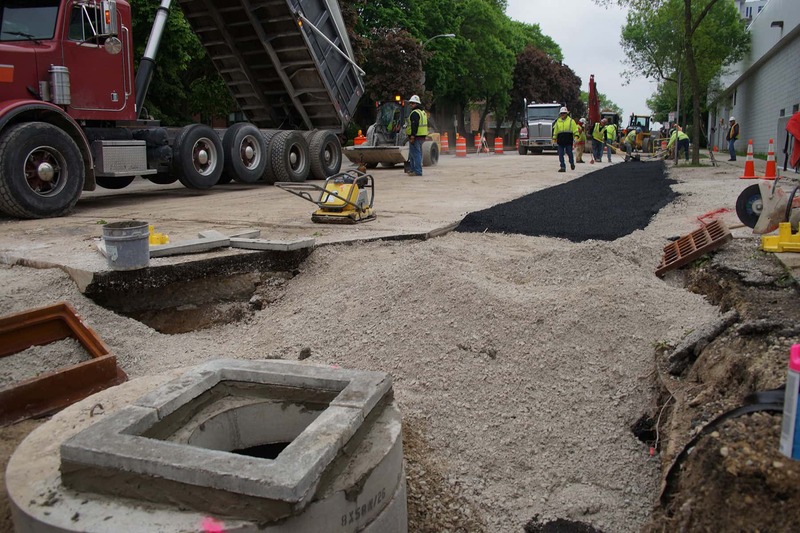 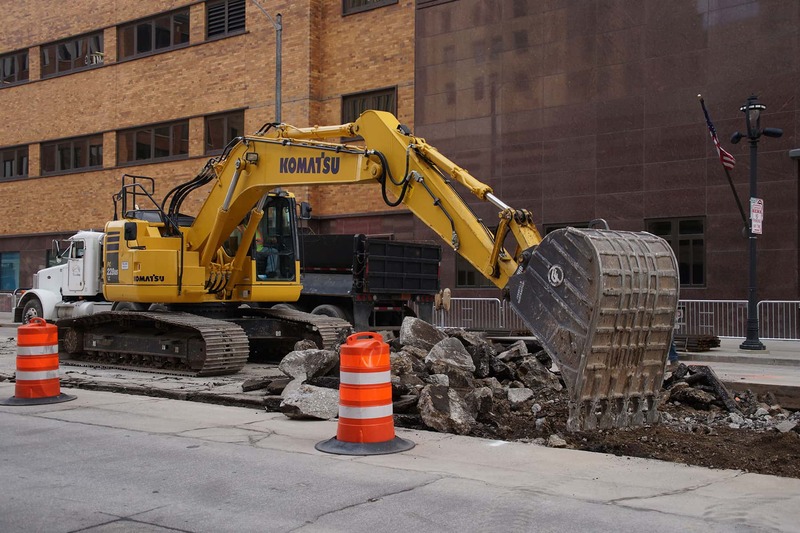 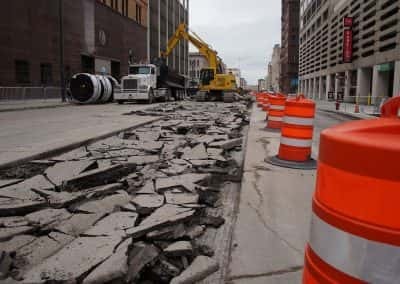 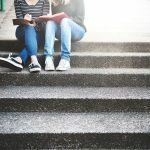 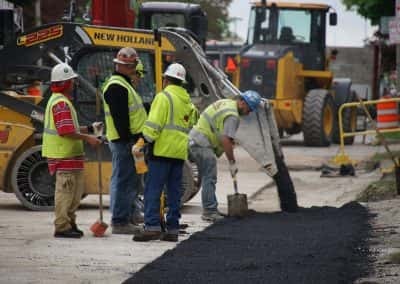 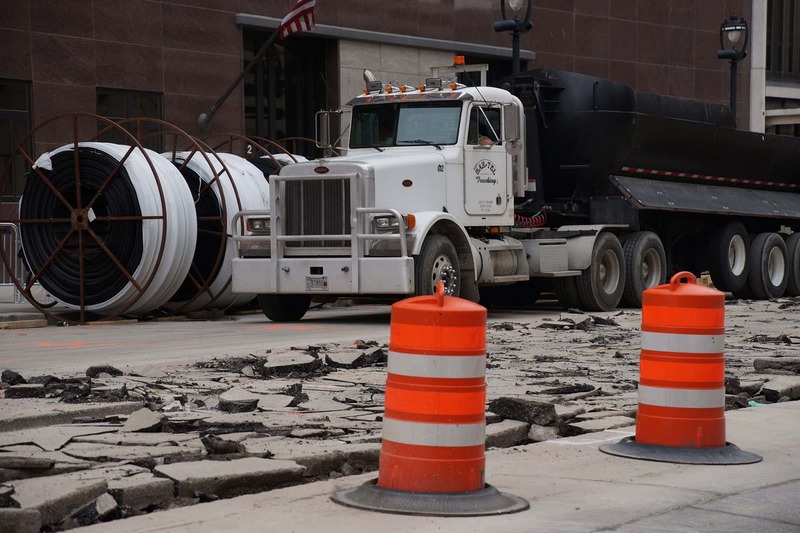 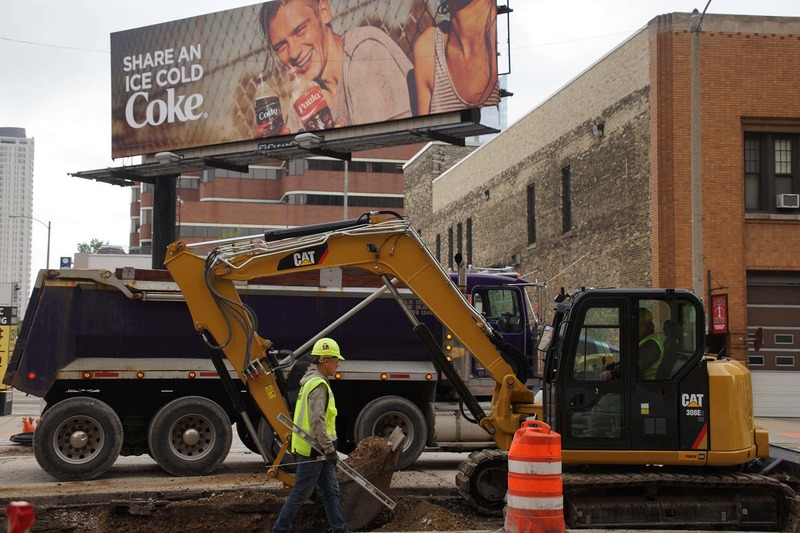 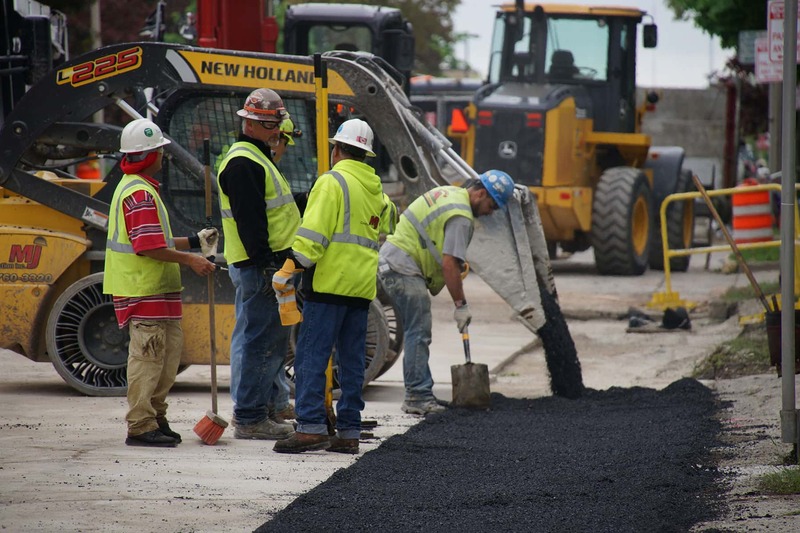 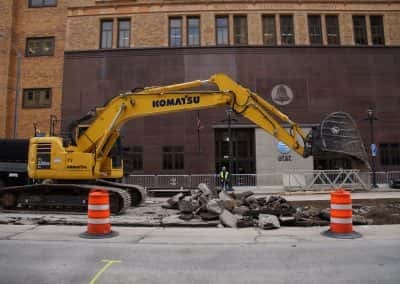 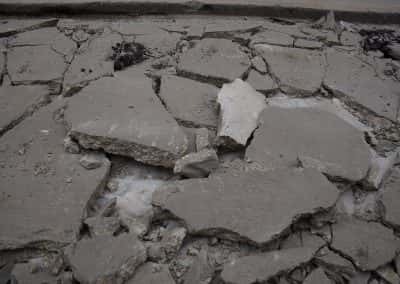 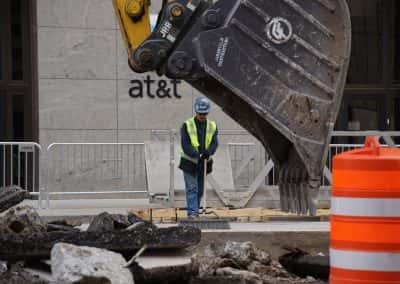 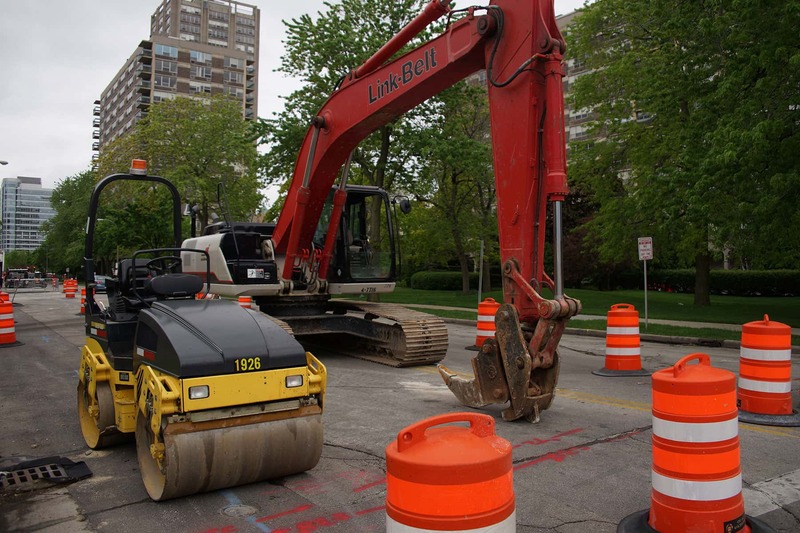 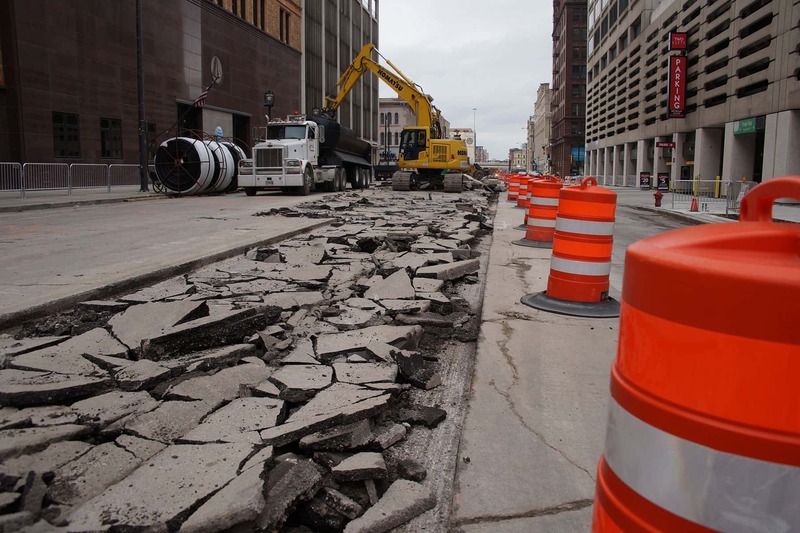 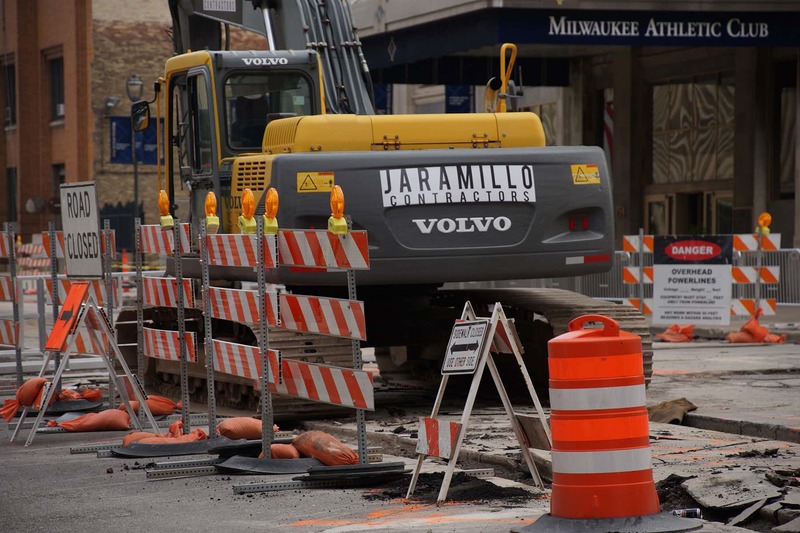 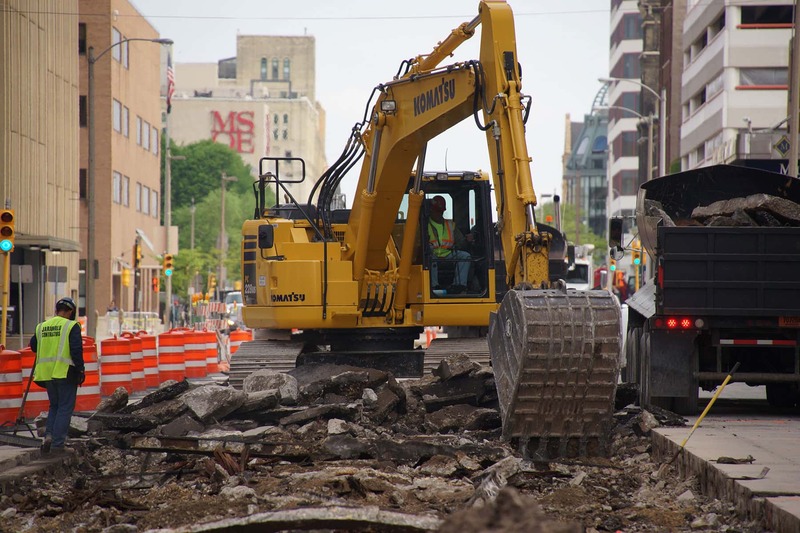 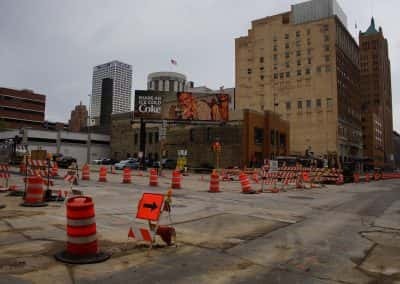 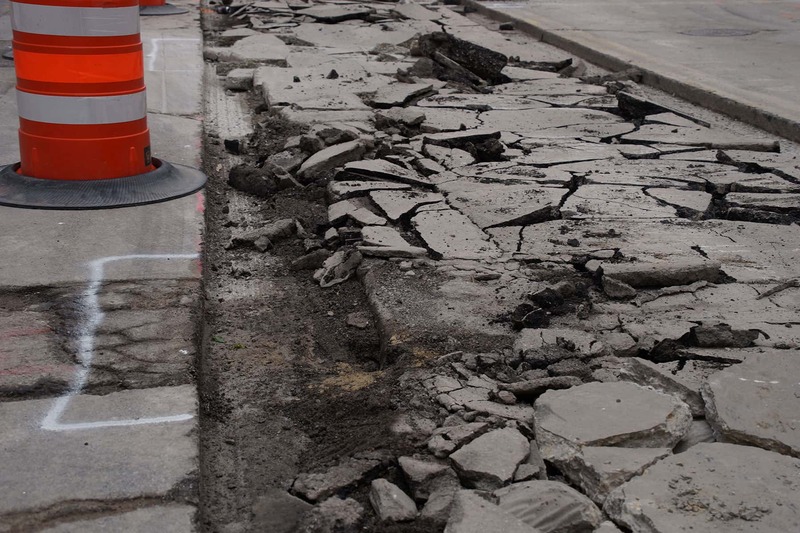 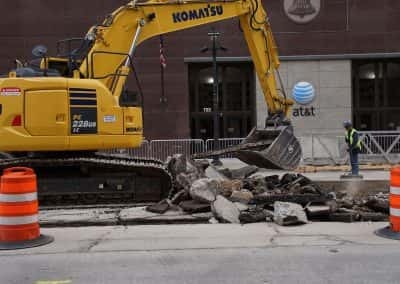 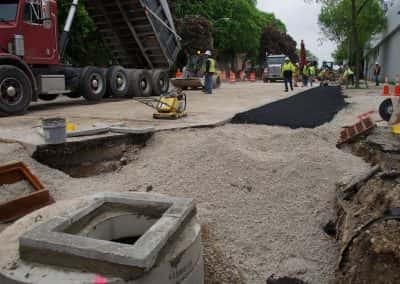 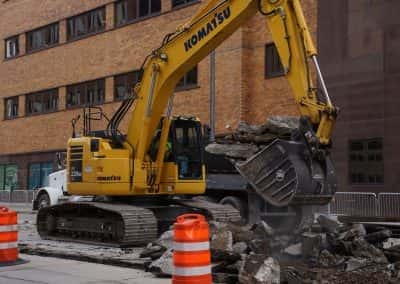 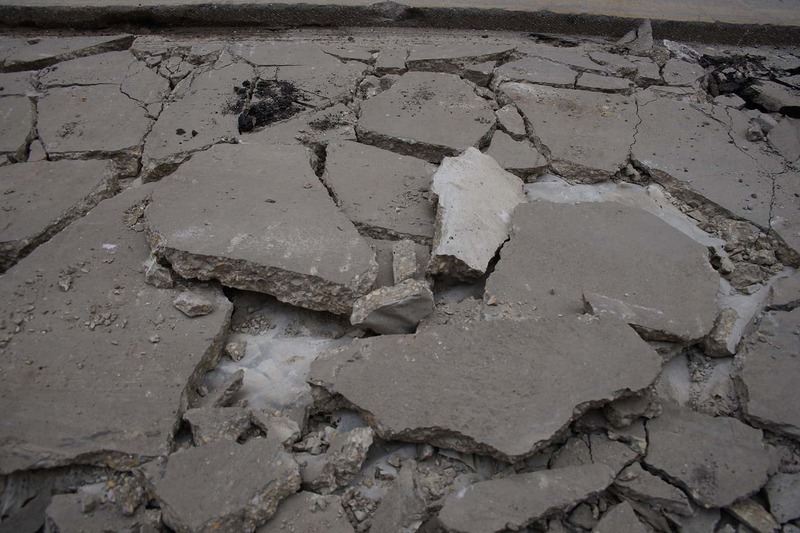 Not just regarding Summerfest for the last 50 years, but another annual ritual which has also occupied nearly a half century – road construction. 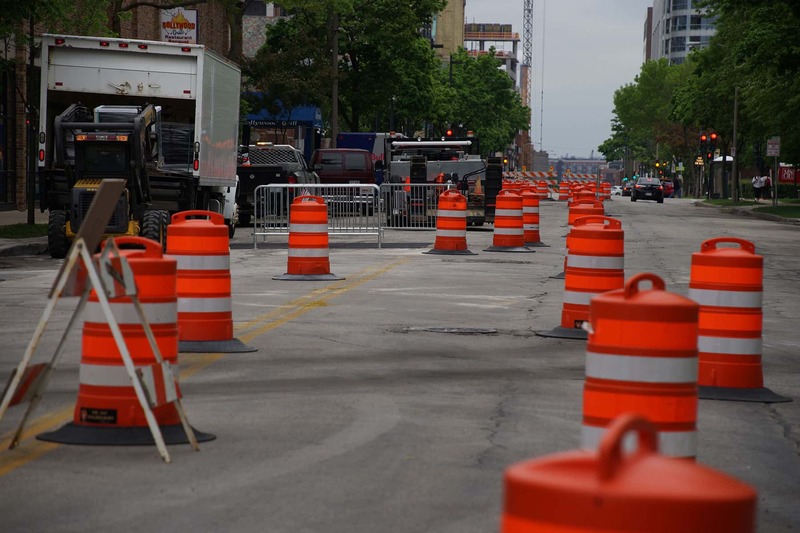 Whether highway stretches or city potholes, construction barrels bloom like weeds. 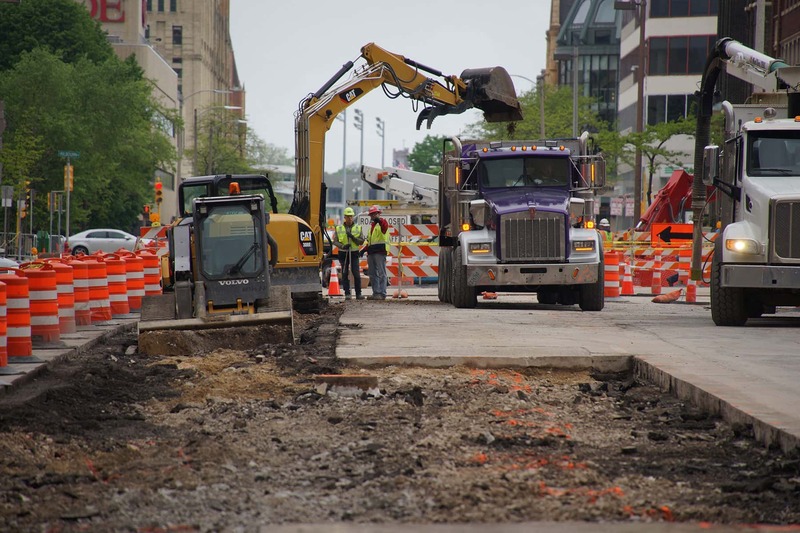 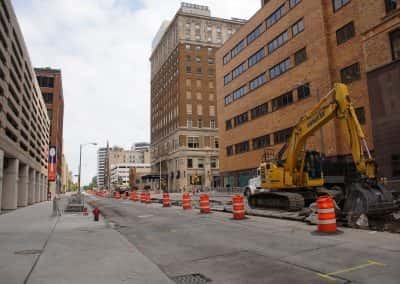 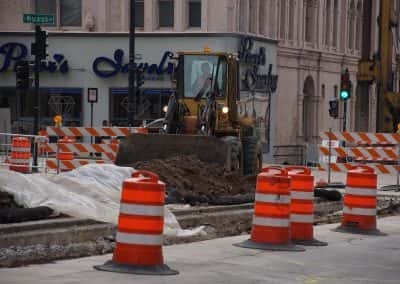 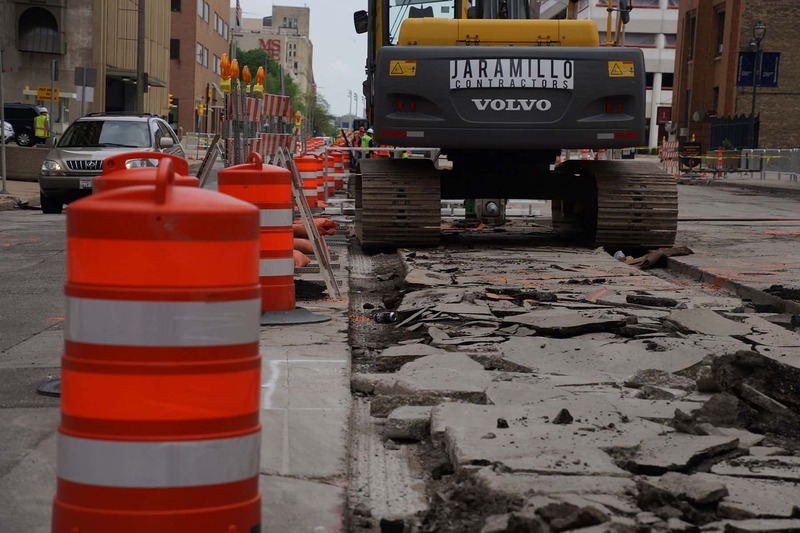 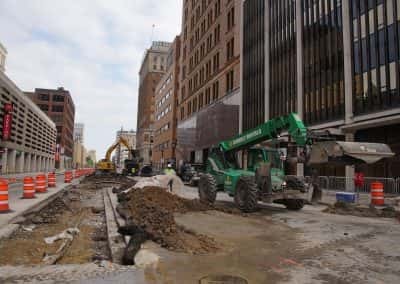 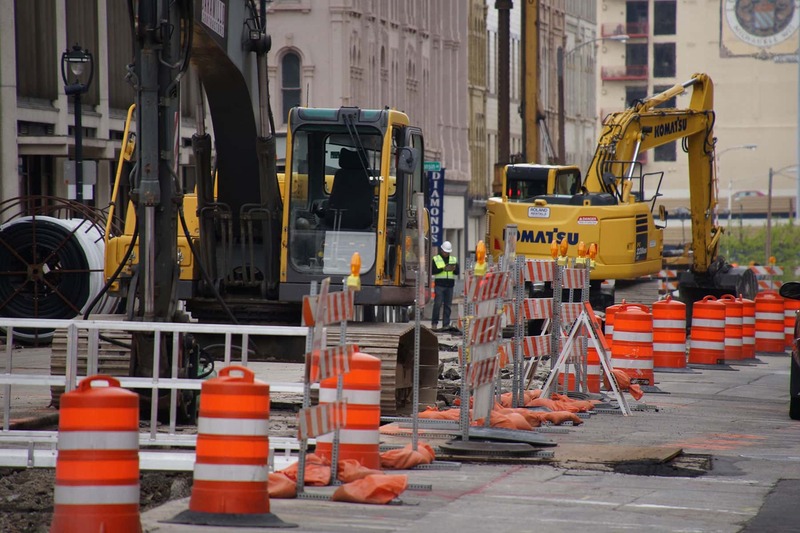 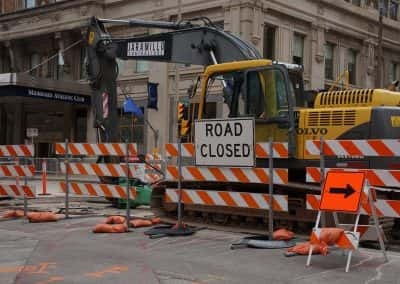 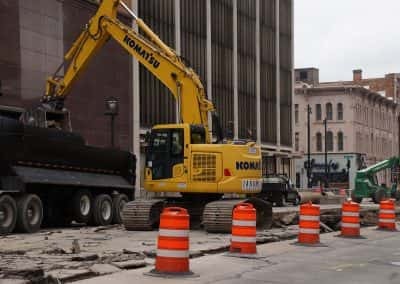 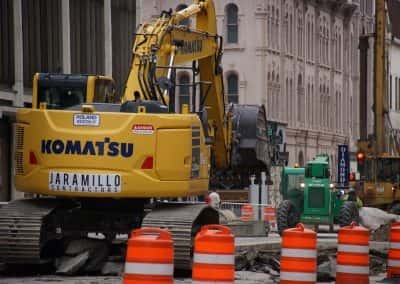 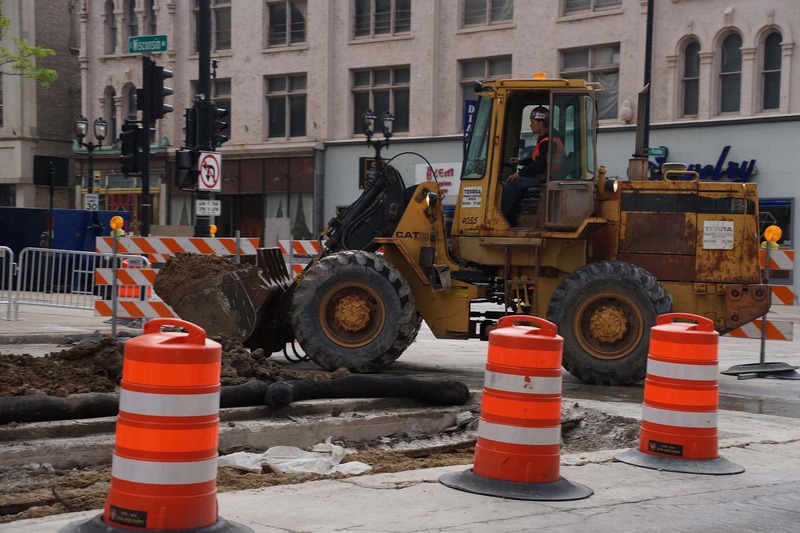 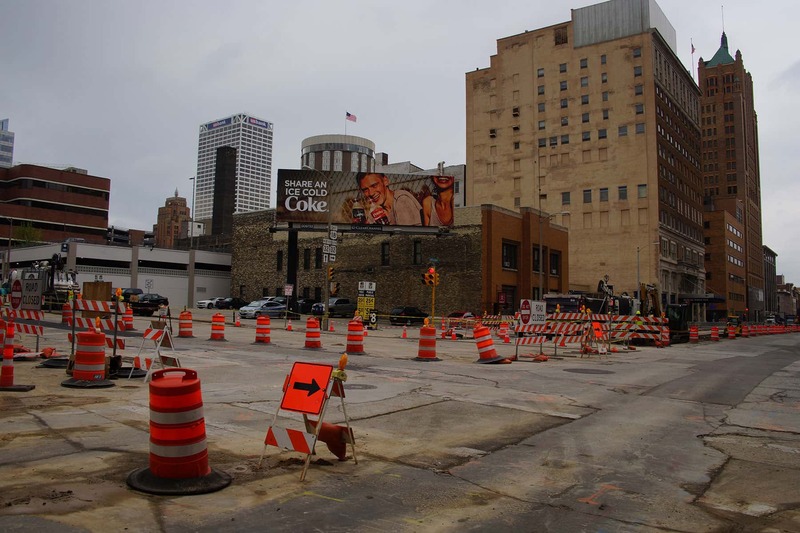 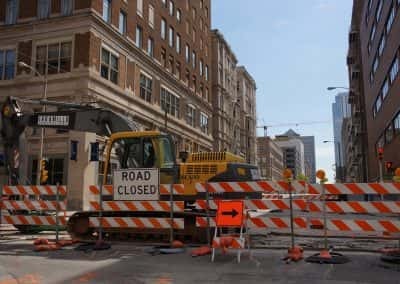 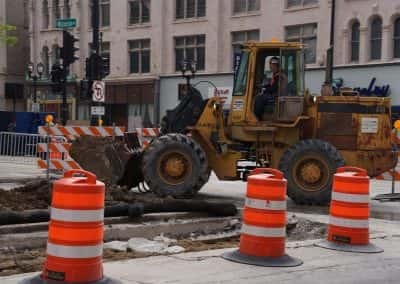 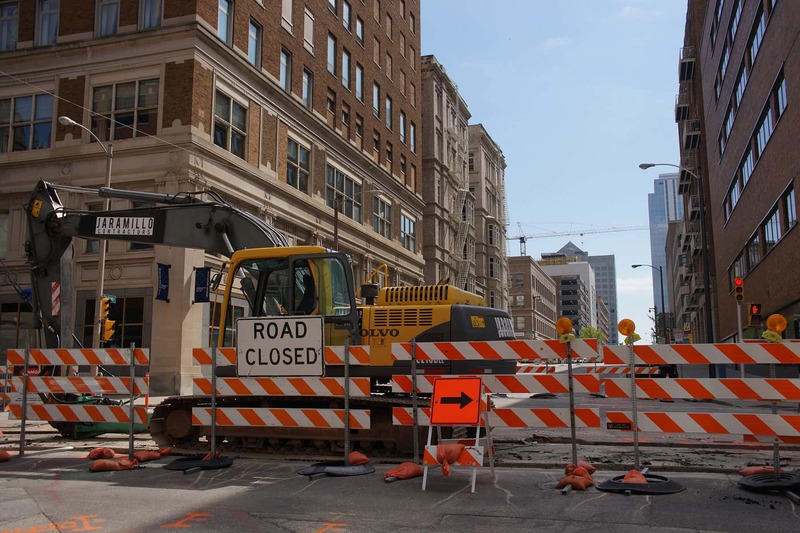 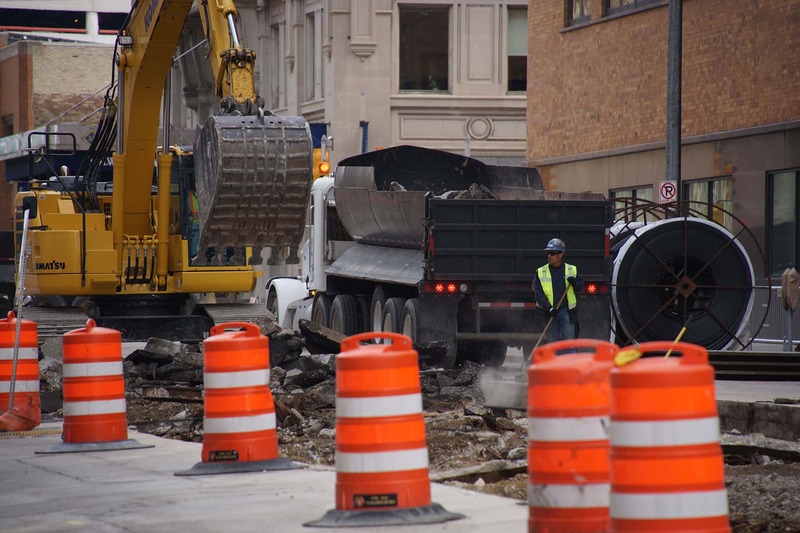 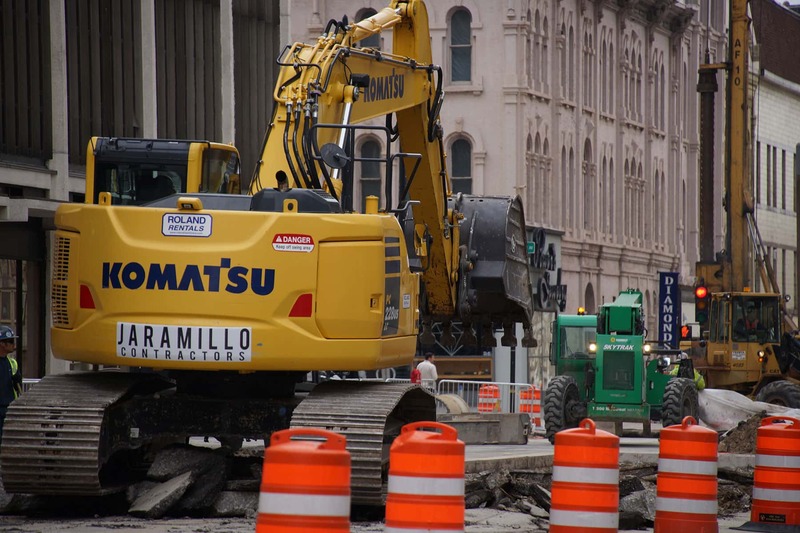 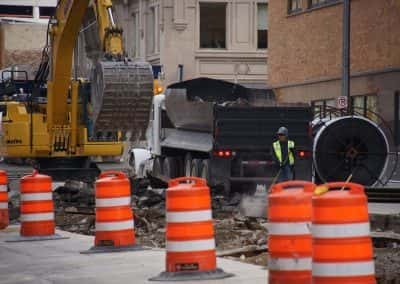 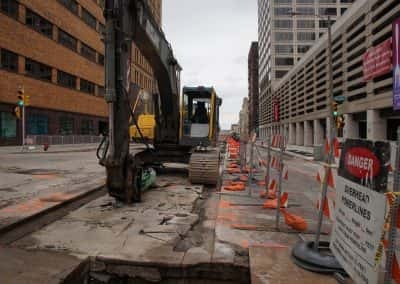 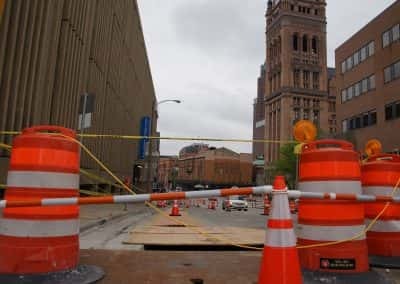 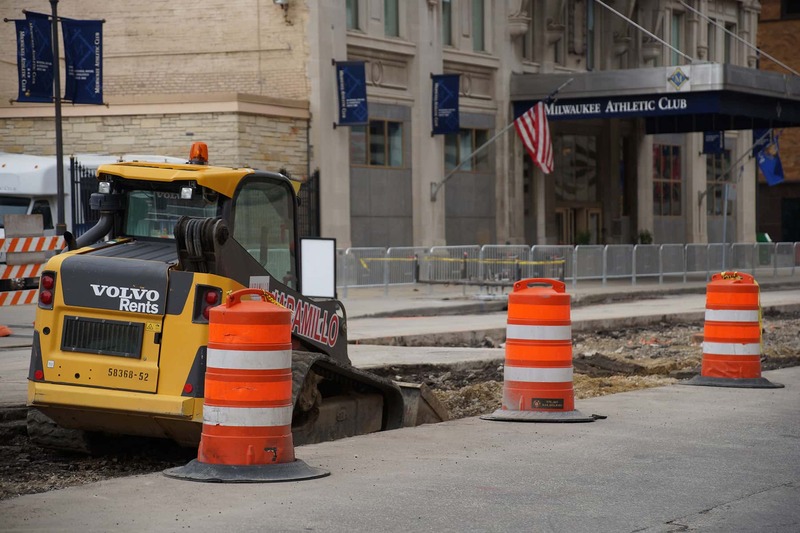 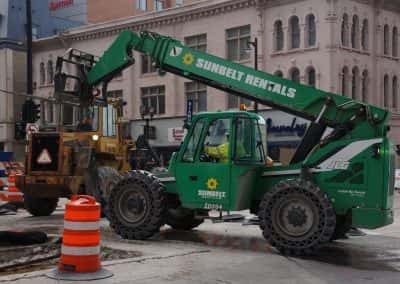 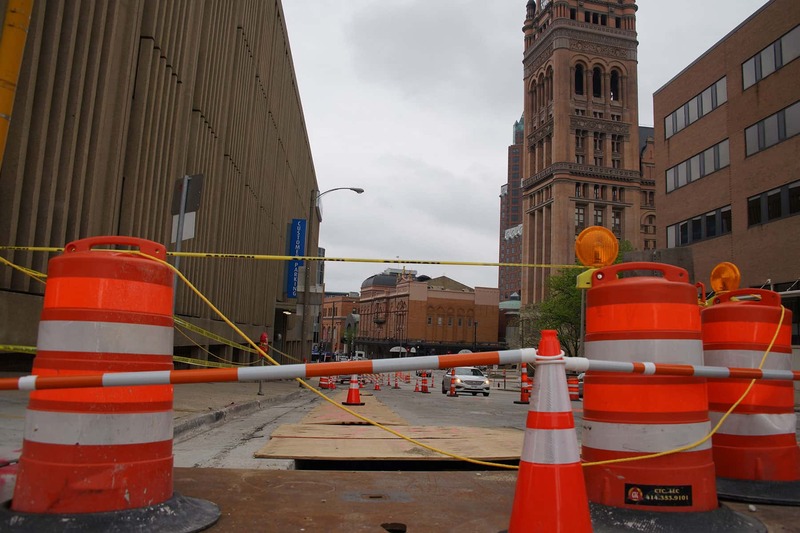 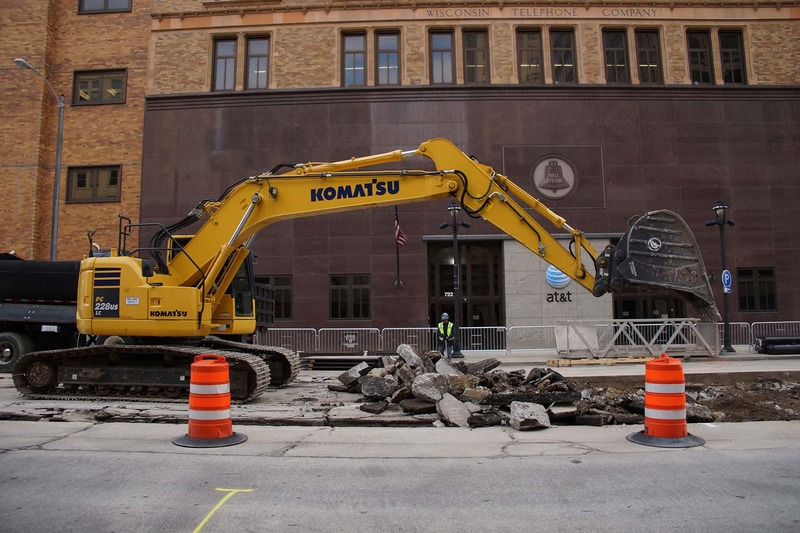 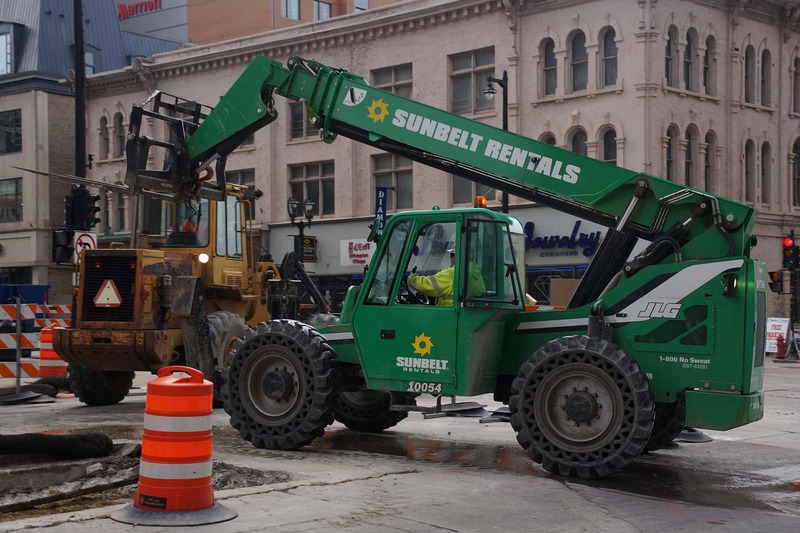 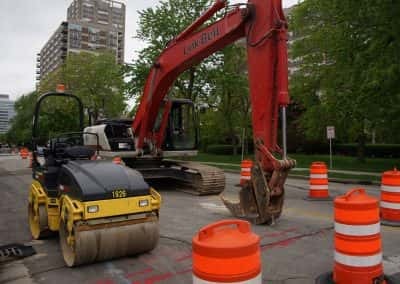 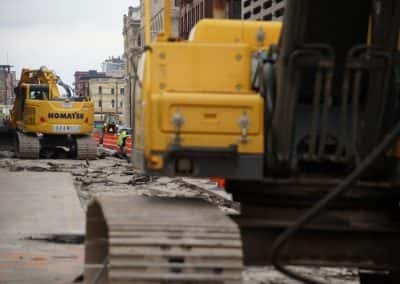 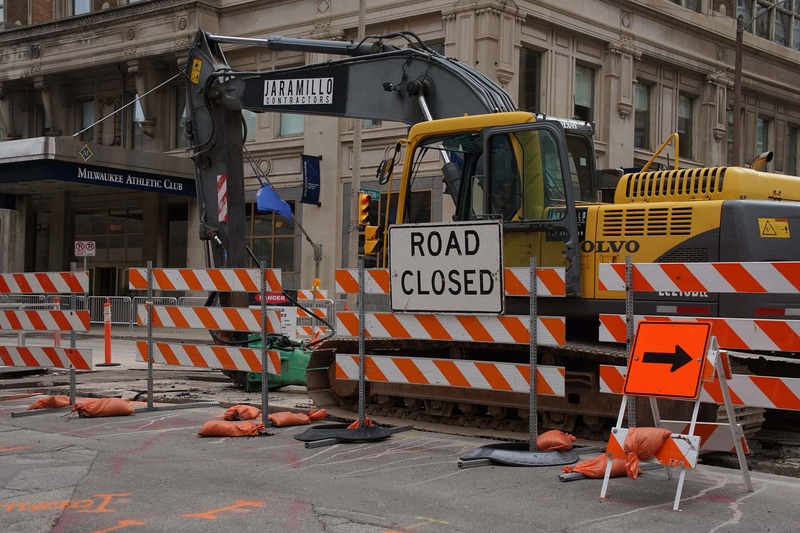 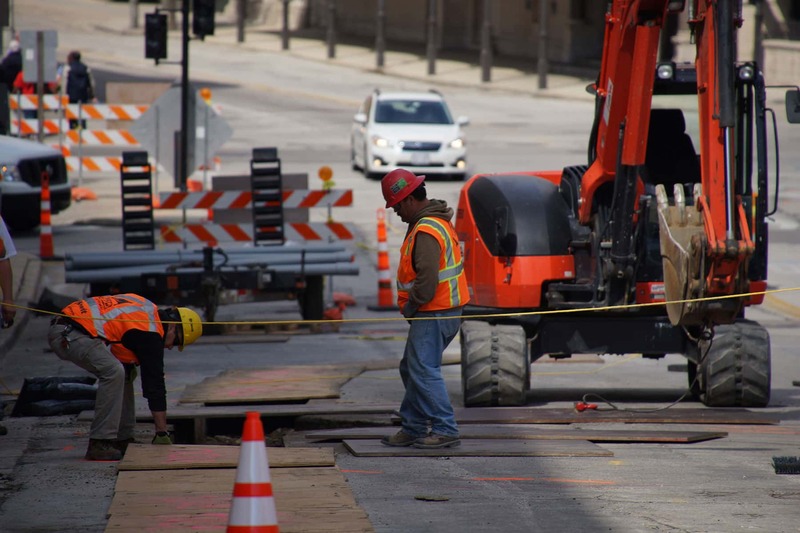 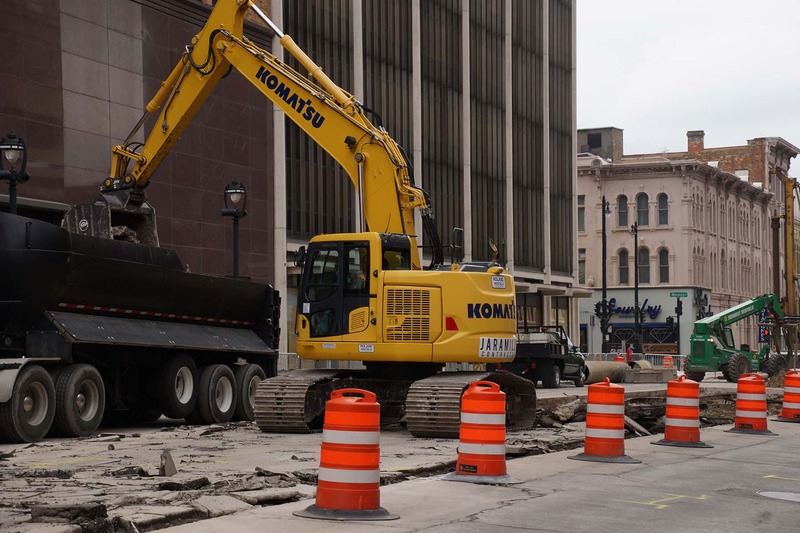 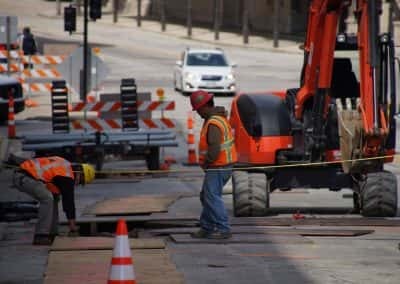 There are always complaints surrounding roadwork, but at least with this project the existing road is not simply being fixed, it is getting enhanced and upgraded with the streetcar rails. 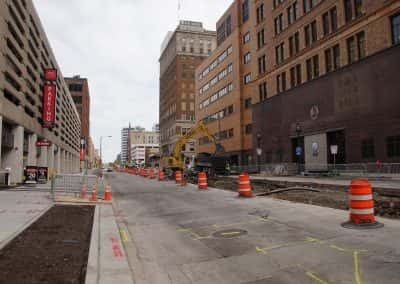 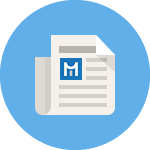 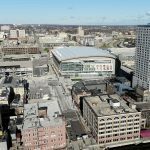 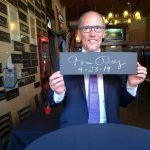 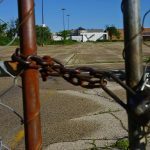 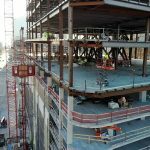 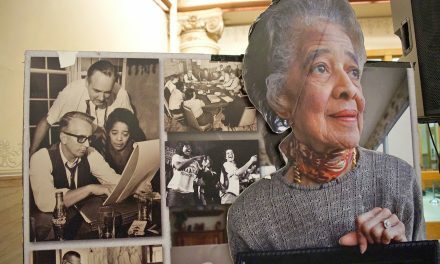 The initial route and extensions would be within 3 to 4 of 100% hotels, 90% occupied office, 90% occupied retail, 77% of parking, 77% of housing, 90% of major downtown attractions, and 100% of downtown’s 20 largest employers. 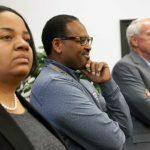 The route was identified to serve the greatest numbers of riders and also provides significant opportunities for economic development. 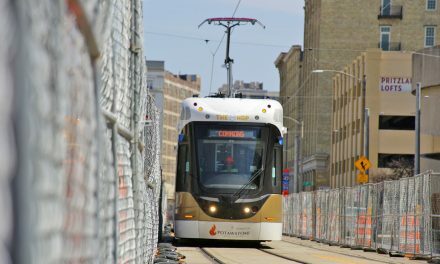 It was designed to complement existing bus routes, especially the major bus corridor along Wisconsin Avenue. 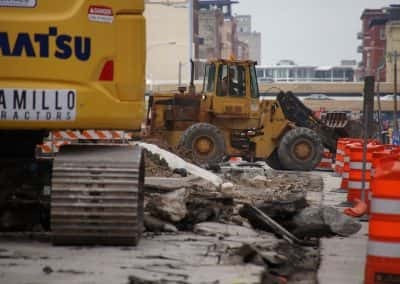 It will connect the Intermodal Station and its 1.4 million annual users, the Third Ward as the fastest-growing neighborhood in City, East Town with the largest concentration of jobs in the state, and the lower east side and its highest-density residential neighborhood in state. 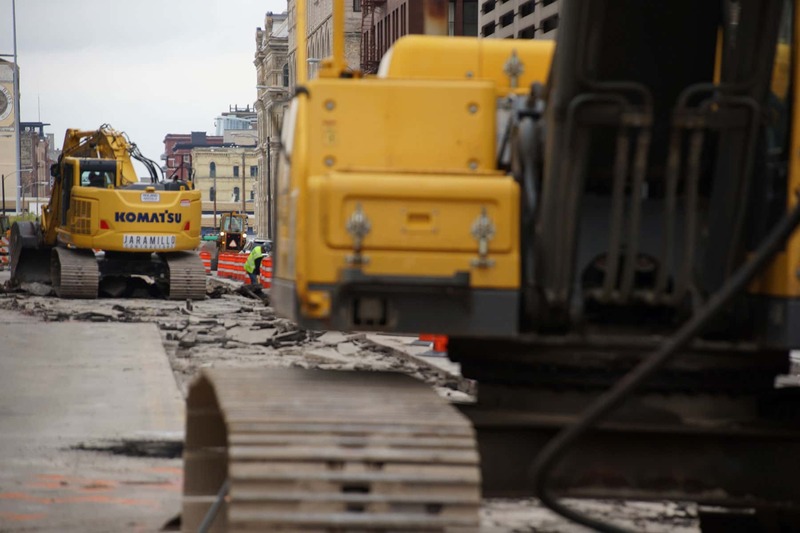 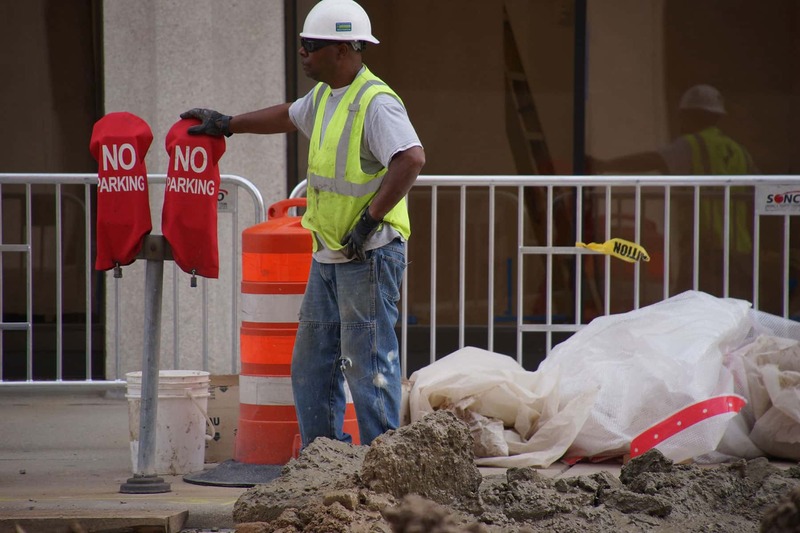 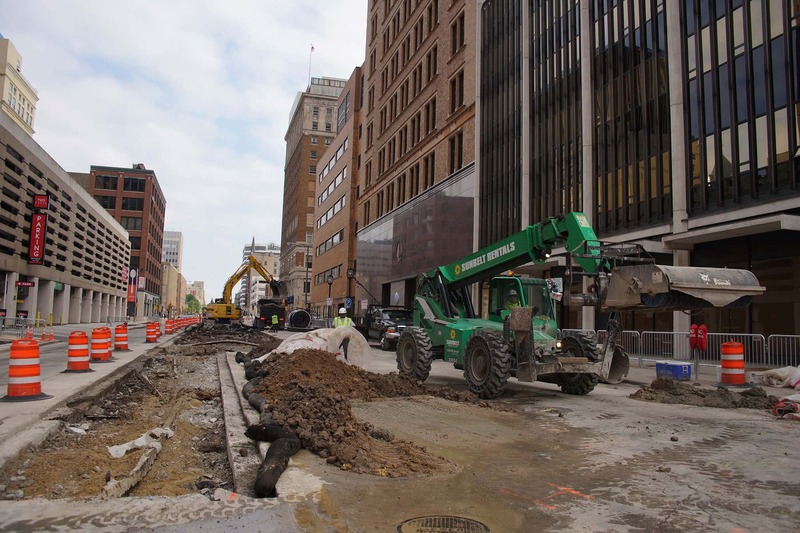 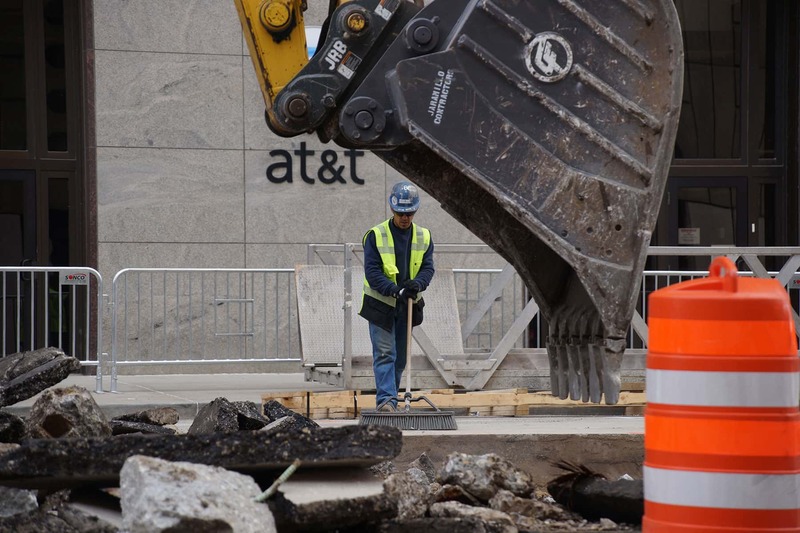 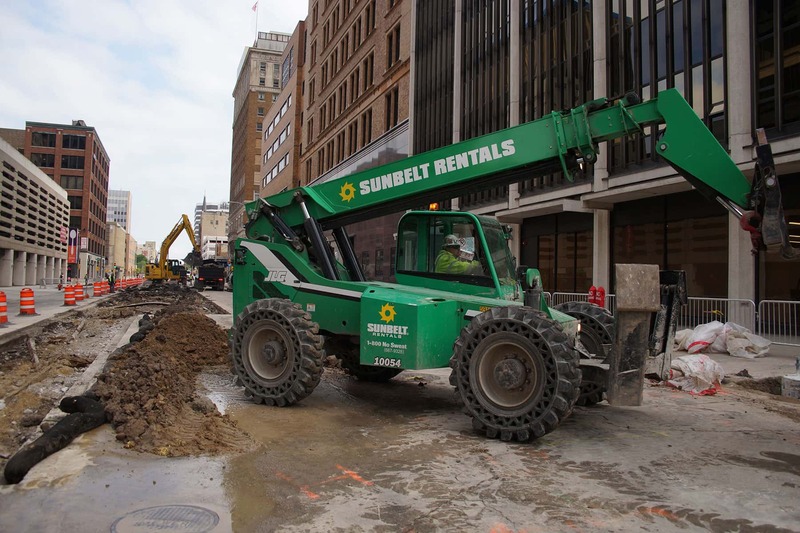 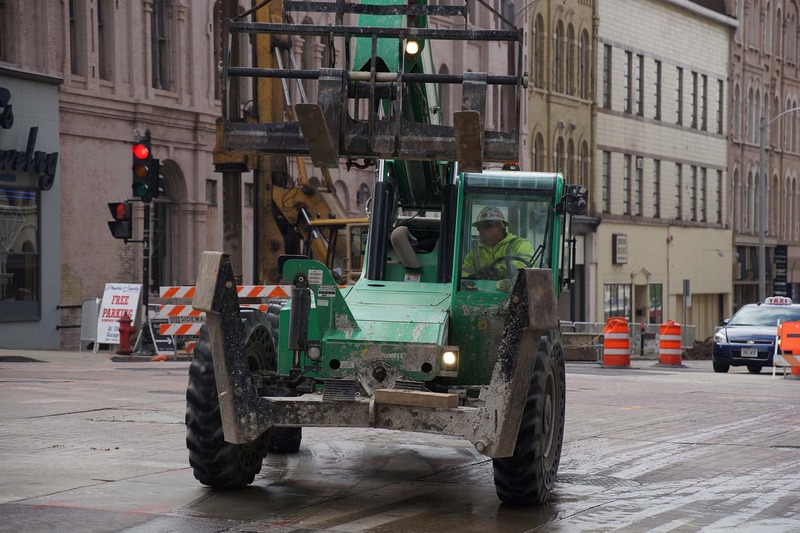 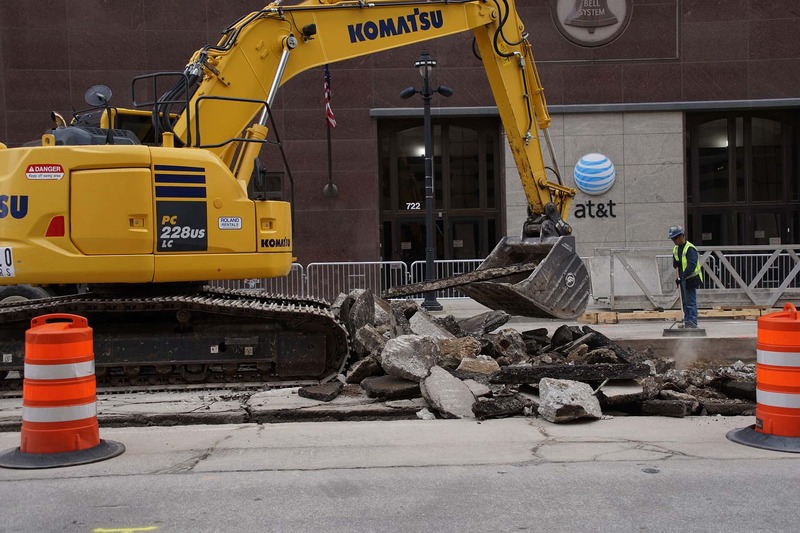 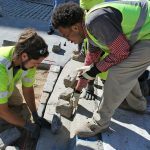 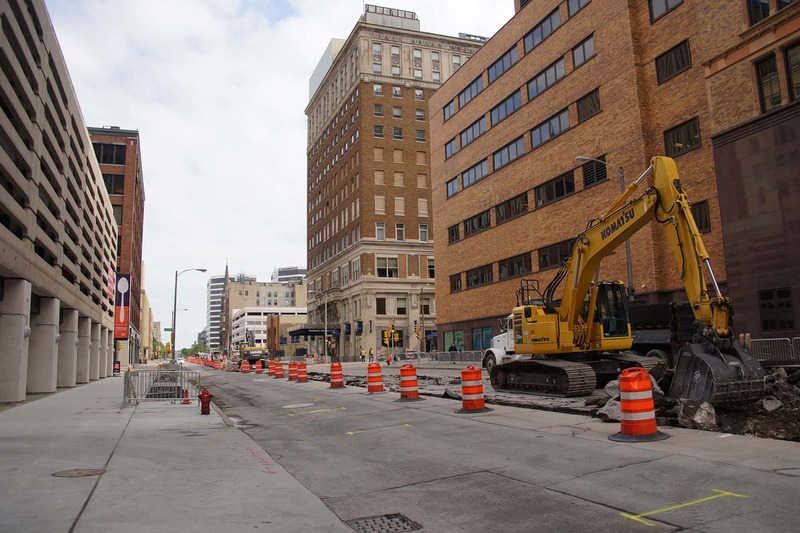 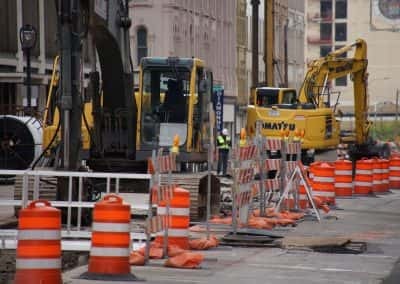 These images are a snapshot of the Streetcar route construction, as the effort makes progress through downtown. 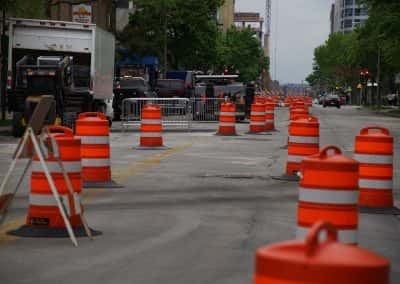 Lots of roadwork and orange barrels like any other Milwaukee summer, but with a new transportation system at the other end of the work.